We will enjoy a casual day on the Salida Town Run. This section consists of mostly class II water with a couple of class III rapids. A great way to spend the day with great views and great friends. All types of watercraft are welcome to come along for the ride. Hop in a raft with a group of folks, or paddle yourself down in a kayak, duckie, or stand up paddleboard. No experience necessary. Paddle yourself through Brown’s Canyon National Monument in a whitewater kayak. 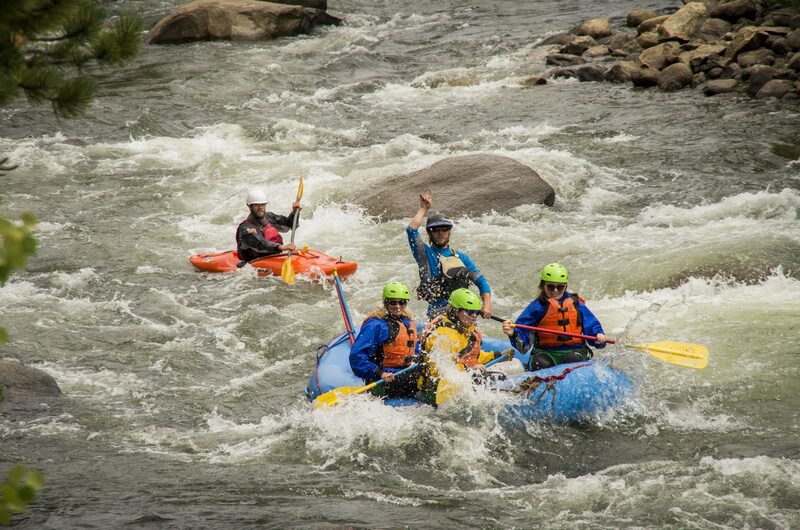 This is a truly thrilling way to experience a beautiful granite canyon as you navigate through numerous class III rapids. Participants should be in good physical condition. No experience necessary if you choose an inflatable kayak, but you should have relevant experience if you choose to paddle a hardshell kayak.